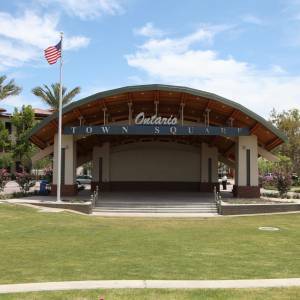 The Ontario Town Square is part of the City’s vision to revitalize downtown Ontario and transform the area into a model of sustainable living. The park serves as a community gathering/event space provides the City’s historic downtown and surrounding neighborhoods with its first dedicated park space. In addition, the park will help support the various programmed events downtown, such as Christmas on Euclid, Fourth of July celebration, Car Shows and more. Celebrate Ontario’s history and culture by connecting with local organizations. Enjoy crafts, displays, entertainment, food, and fun activities for all ages to enjoy. For more information call (909) 395-2222.